California Sidecar New Old Stock Parts. I have a truck load of CSC OEM NOS sidecar parts. Call me if your looking for a part you do not see on one of my CSC parts pages as I may have it. OEM trunk lock with OEM CSC longer hook installed on the lock. 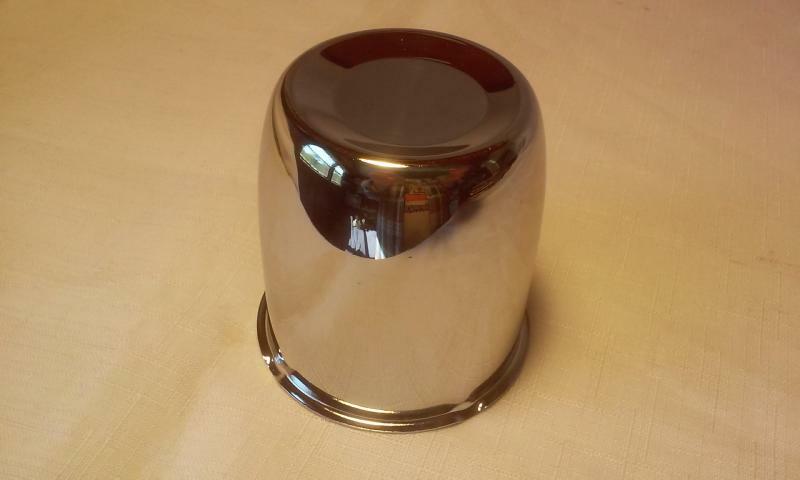 This is the OEM VW chrome lock that mounts with 3 screws. CSC did use other locks that used 2 screw and 1 screw so make sure this is the same as yours but most of the later FS III sidecars used this 3 screw lock. Comes with two keys. Also comes with the trunk lock latch plate that is powder coated black. I just have this one lock in stock. email me for world wide shipping cost. Bushing or race I do not know for sure. It is 2-1/4'' long and 1-1/2'' O.D. One end has a wider surface than the smaller end. Or maybe for the Lean control pivot. 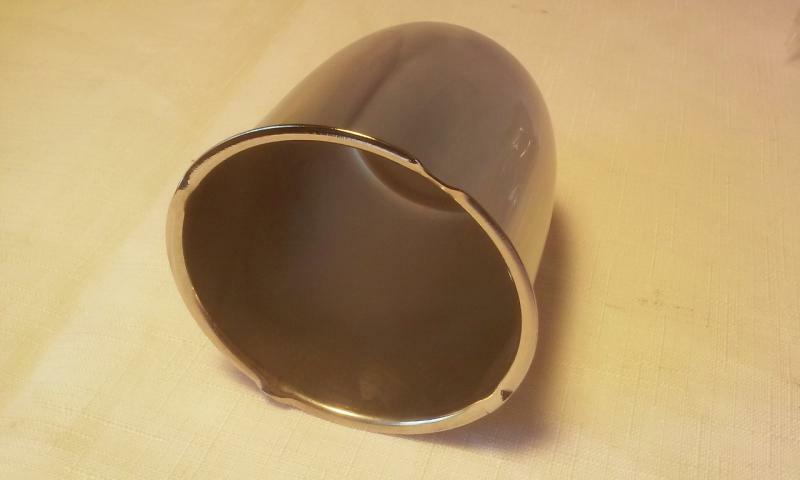 This fits the left side handlebar of the Goldwing 1500 and Harley-Davidson dresser. It is the electric lean control box used to hold the switch. Has two holes in it . One for the switch and one to run the wires thru. There are three small holes to bolt it to the handlebars. It is 2-3/4'' long by 1-1/2'' wide by 1-7/16'' tall. This is just the box. Convertible top bow hinge set. Comes with two end cap 7/8'' and two angled hinge set. Both are black nylon. Fits Friendship I, FS II and FS II SE. Some of the older sidecars use a flat bottom hinge so this will not fit them. 6 foot stainless steel sidecar brake line. 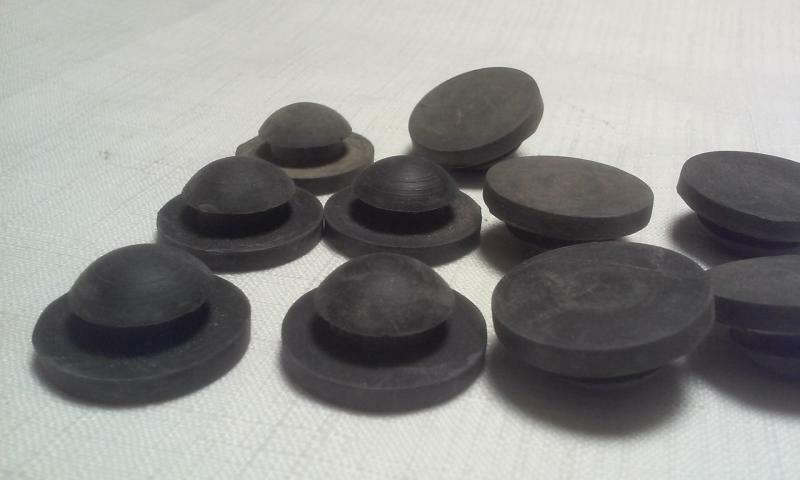 Has the round banjo finting on one end and the threaded fitting on other end. 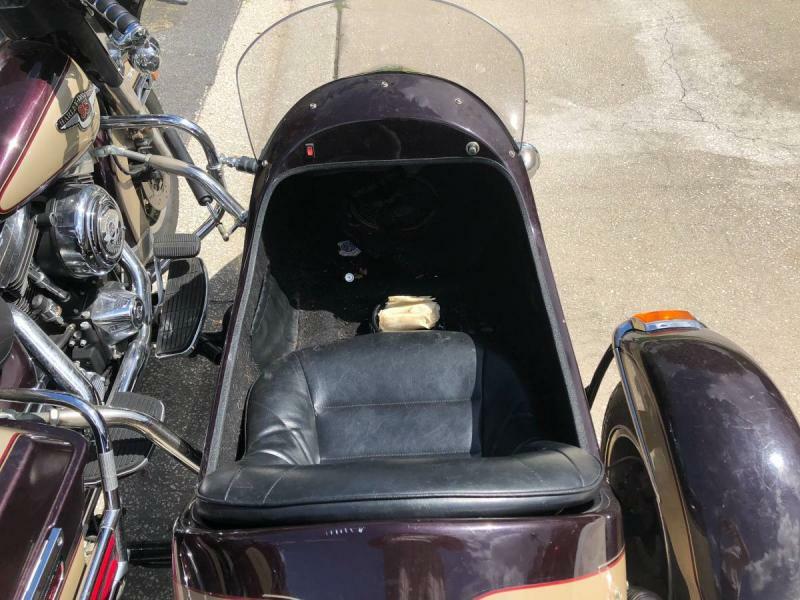 Check your sidecar to see if this is long enough. CSC part # S039-4. OEM NOS. Twist fasteners with adhesive to hold the wire harness in place. Sticks to the fiberglass surface. This is a bag of 25. Opening is about 5/16'' wide. Peel the paper of the bottom and stick it on the fiberglass then just put wire in the opening and then twist the top together. CSC NOS OEM parts. 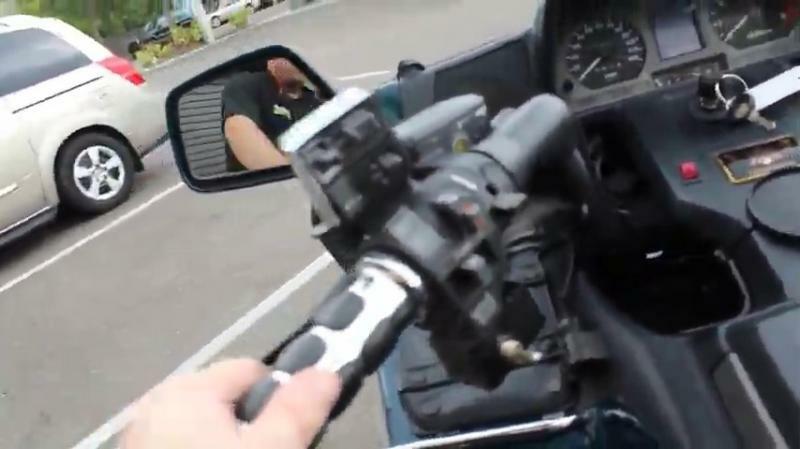 Replacement red switch for the driving light. It just snaps into the dash. 12 volt 20 Amp. CSC OEM NOS. email me for world wide shipping cost..
Motorcycle sidecar stereo radio antenna. Has 15" rubber antenna and 6 feet of cable. CSC OEM NOS part # S058. Custom L-bracket to mount switches in. Bolts to dash or any flat surface. Has two mounting holes 11/16" I.D. and two small slots to bolt bracket to dash, 3/16" wide x 9/16" long. Mounting tab portion is 1" long by 1-1/8" wide and switch hole portion is 2/-1/2" long by 1-1/8" wide. Bracket is bare steel with some surface rust and will need to be painted. CSC OEM NOS part. I just have a few of these. Motorcycle wire harness with lean control switch harness. Has a Molex connector with 10 pins hooked up to sidecar wire harness. 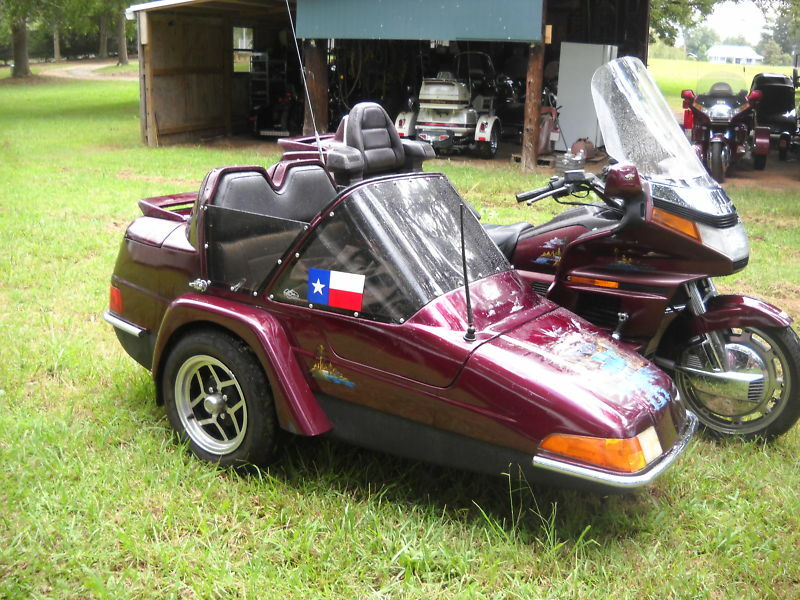 Will run the sidecar lights, turn signals, etc. This is a CSC OEM NOS part # S057-2 and will plug right into a late model CSC FS III ,FS II SE and Companion GT. Your sidecar may not use all the wires like if your sidecar does not have a lean control motor or stereo, etc. Body wire harness for California Sidecar Friendship III and Friendship II SE. CSC OEM NOS part # S057-1. This runs all the lights, stereo, and accessories. Pack of 10 black plastic end caps for the CSC Frienship III convertible top bow frame tube. This cap covers the tube so the steel tube does not touch the paint on the fiberglass hatch lid. Enough caps to last many years. email me for world wide shipping. Molded Rubber bumper left and right side for CSC Friendship II SE hatch lid. CSC part # F2-86-6. OEM NOS. 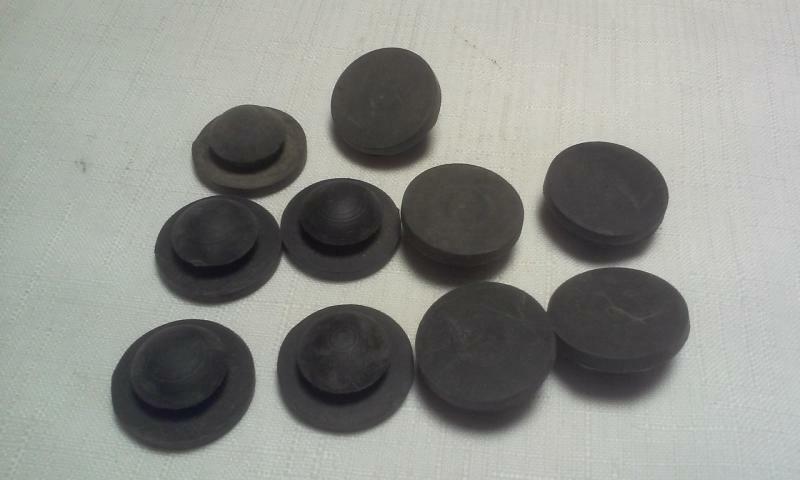 Set of 10 rubber bumpers. For the lid hatch on California Sidecar models. Flat side is one inch in diameter, Groove is 1/2". Aluminum threaded insert with screws, 30 sets. Screws are 1/8" x 32 tpi x 9/16" long. 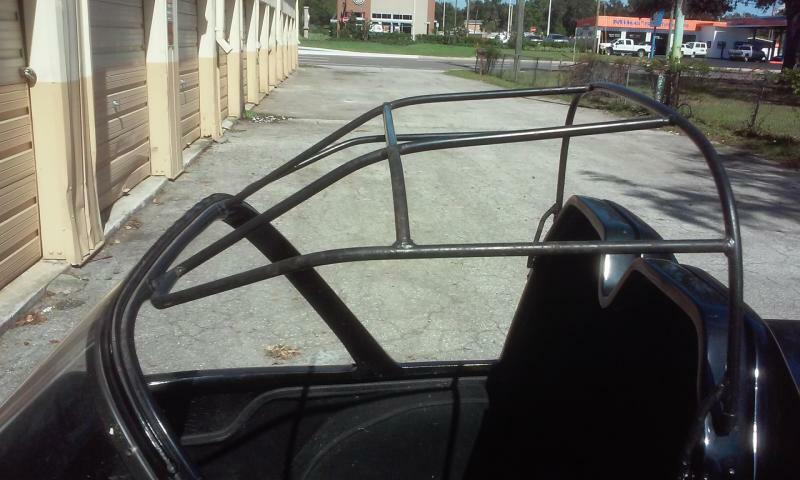 Fits windshield frame on newer California Sidecars and may fit older sidecar models also. 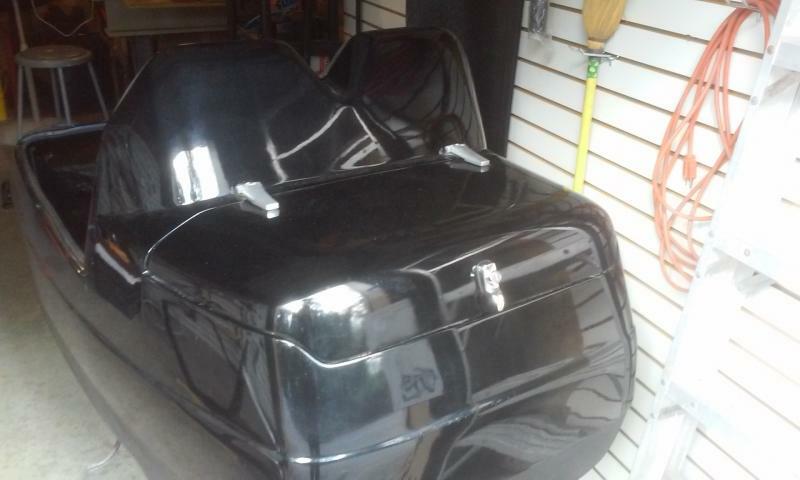 For snap fasteners to attach tonneau covers and convertible tops. Aluminum threaded insert with screws, 30 sets. Screws are 1/8" x 32 tpi x just under 1/2" long. This kit has a littile shorter screw than the other kit and is used to attach the snap fastener on California Sidecars and may fit older sidecar models also. Alumium theaded insert and allen screw set. Allen screws are 3/16-32 tpi x 3/4" long. Kit has 30 sets. Do not know what CSC used these for but if you know please email me. 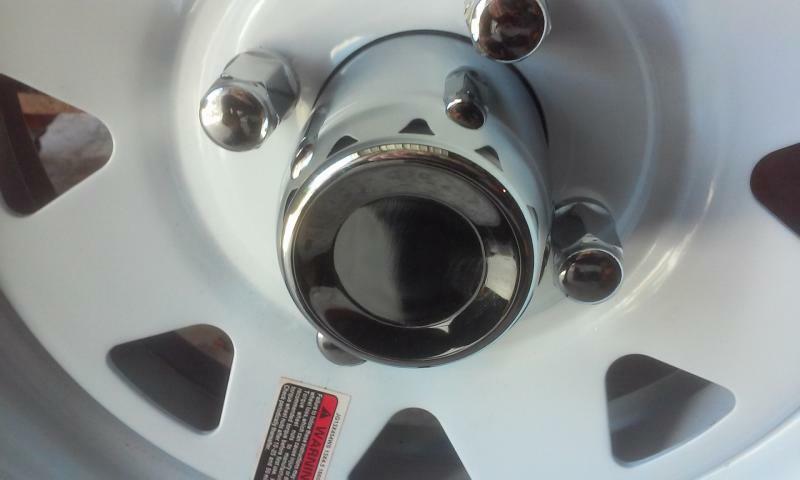 Chrome center hub cap for 13" wheel rim with a 2.80" to 2.84" center hole. I used this same hub cap on my 1997 CSC Friendship III sidecar. 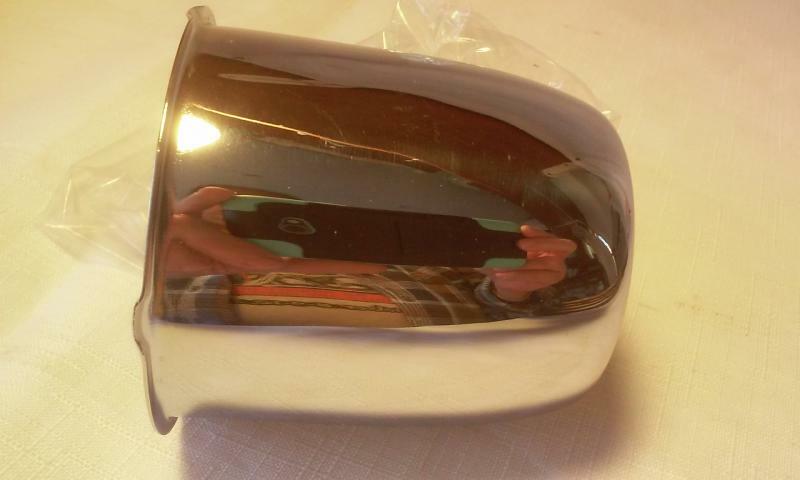 It does have a very small dent in the chrome by the base, it is hard to see. Check your rim to make sure this will fit as CSC used diffrent wheels later on. 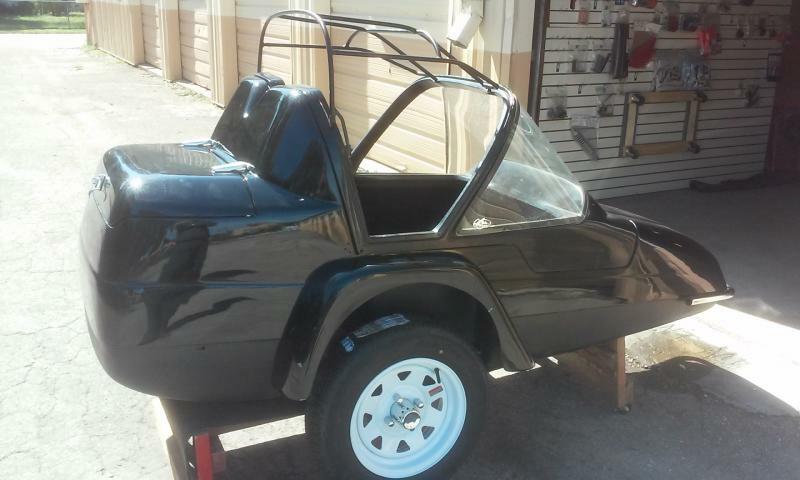 I have many more NOS OEM California Sidecar Parts on my other pages. This is a California Trike license plate frame with 8 red LED's, 4 clear LEDs to light up the plate and the LOGO. A cool part. It is a brake light and taillight also. Sold.